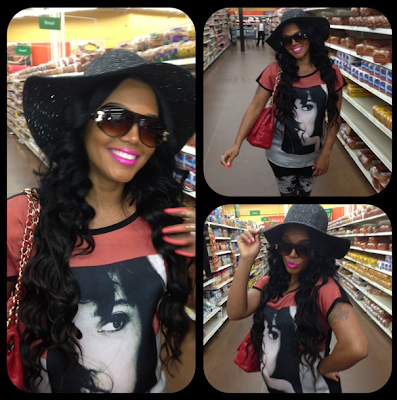 Home / Love and Hip Hop ATL / Love & Hip Hop Atlanta's Rasheeda and Her Baby Bump! Love & Hip Hop Atlanta's Rasheeda and Her Baby Bump! Yes, yes y'all. Your eyes are not deceiving you. That really is the geriatric Georgia Peach Rasheeda with a baby growing in her uterus. Season two of Love & Hip Hop Atlanta ended with a clip of Rasheeda questioning whether or not she was pregnant. Well, the answer to her question is, "yes, bish" as there is a noticeable baby bump in her most recent Instagram pictures! Rasheeda must be putting her music career on hold because how you gonna be on stage talking about "pour me a drank but don't spill it on my Gucciiiii'" with a bun in your oven? This ain't right! What do you think about Rasheeda getting knocked up this late in the game?